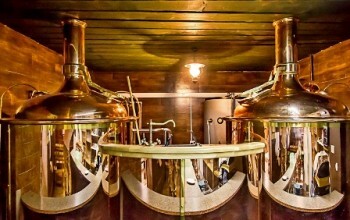 The Association of Small Independent Breweries in Slovakia was established in 2009. We are an association of small independent Slovak breweries. At that time /2009/ more than 90 percent of the Slovak beer market was controlled by two transnational brewing giants and Slovakia had only seven small breweries. In contrast to the neighbouring countries where small breweries were riding high, in Slovakia they were gradually vanishing. They were something like an endangered species. If we had not started to protect them, Slovak customers might have been deprived of the traditional taste of beer brewed in the classic way and of the diversity of tastes for good. And therefore the Association was established. We are glad that thanks to the Association, the number of microbreweries in 2018 topped 70. The main objective of the Association of Small Independent Breweries in Slovakia is to support and develop the small breweries in Slovakia and to maintain the diversity of beer tastes which recently almost disappeared.